There is never a good time for a phone battery to die. Many of us tend to do anything to keep a phone battery alive all day. But when a phone gets damaged, we may regret a few things we did in an attempt to keep the battery alive. Is the regret really necessary? Reader’s Digest spoke to tech experts to unveil the truth. Sergio Flores, electronics engineer for Samsung told Reader’s Digest that smart technology stopped phone batteries from charging after they were full. “Even if you are charging your phone overnight, the phone battery is only being charged when it’s necessary,” Flores was quoted as saying. Any data that your phone holds, including emails, text, photos and more are at risk of theft when the phone is charged using public port. 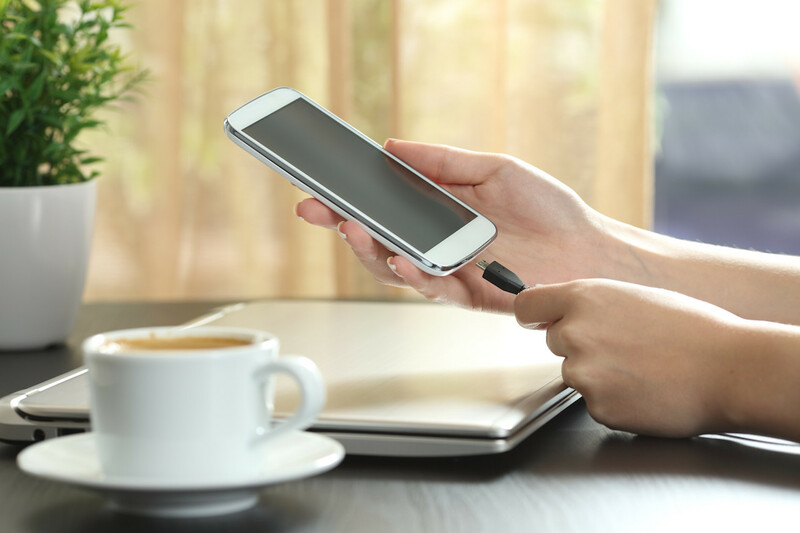 “People don’t realize they’re not just a power source,” CEO and president of Identity Theft Resource Center Eva Velasquez told Reader’s Digest, noting that cords at restaurants and airports might enable data transfer. She went on to say that if you really have to charge in public, portable chargers are a lot less risky. The truth is, always charge before the phone battery reaches zero. Flores said that lithium-ion batteries were likely to “forget” their full capacity level. “So when [the batteries are] recharged, they do not recharge to the same level as they were at the beginning,” Flores told Reader’s Digest. While major brands have now addressed the problems, users are advised to be more careful with recharging older phone models. Yes, it only takes one app to eat up a big chunk of battery life. Among those apps are Facebook, unfortunately. “A lot of [apps], like the Facebook app, do things in the background, even when you’re not running it,” Brad Nichols, a technician with technology repair service company Staymobile told Reader’s Digest. He went on to say Facebook constantly checks for messages and updates and refreshes feeds in the background. Nichols suggested deleting the app and checking Facebook from a web browser instead, to slow down battery drain. On the contrary, giving your phone total rest once in a while helps conserve its battery. Especially for those with the habit of leaving apps up. “If you turn your phone off completely, it’s processing zero tasks as opposed to 20 tasks every ten minutes,” said Nichols, adding that restarting a phone takes only a couple minutes, but it makes a difference. He suggests to turn the phone off before long meetings or when catching a movie, if you feel that shutting it down before bed feels unrealistic. Sure, if you’re on a smartphone detox. But it is actually fine to open apps or answer calls while the phone is plugged in. Nichols said that opening apps take power while the phone battery is charging, resulting the device to charge longer to get the battery full, that’s all. Knockoff chargers have the capability of knocking out your phone battery. Nichols said cheaper chargers did not meet the required standard to fill a phone consistently with the correct voltage.